The Constance I. and Ralph H. Wark Collection of Early Meissen Porcelain, donated in 1965, is one of the three finest of its type in the world, and the most significant of its kind in the United States. 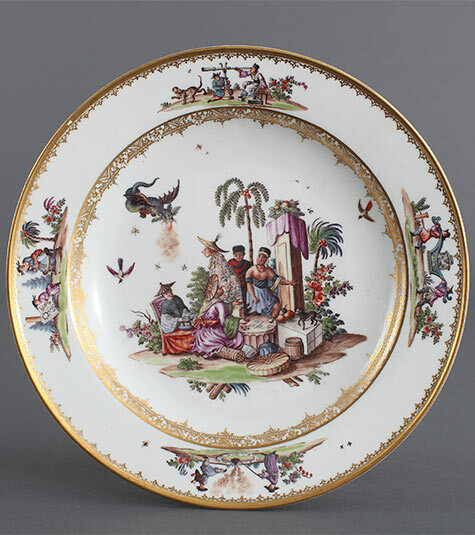 The collection encompasses more than 700 works, largely tableware, produced by the Royal Saxon Porcelain Manufacture from 1708 through 1780, with particular strength before 1756 when production diminished as a result of Prussian occupation of the city of Meissen. The Wark Collection contains strong evidence of contributions made by the first manager of the studio, Johann Friedrich Böttger, the gifted decorator Johann Gregor Höroldt, and Johann Joachim Kändler, sculptor and modeler of figurines.